Half Way. 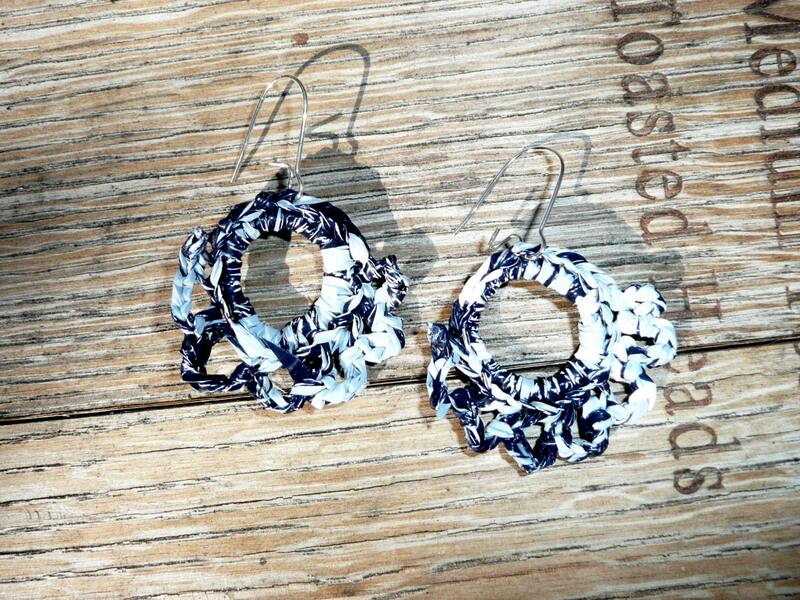 Unique half flower shaped earrings made by recycling a GAP shopping bag. These cute half flowers have been crochet out of a shopping bag from the GAP. Blue, grey and white tones. Light weight. 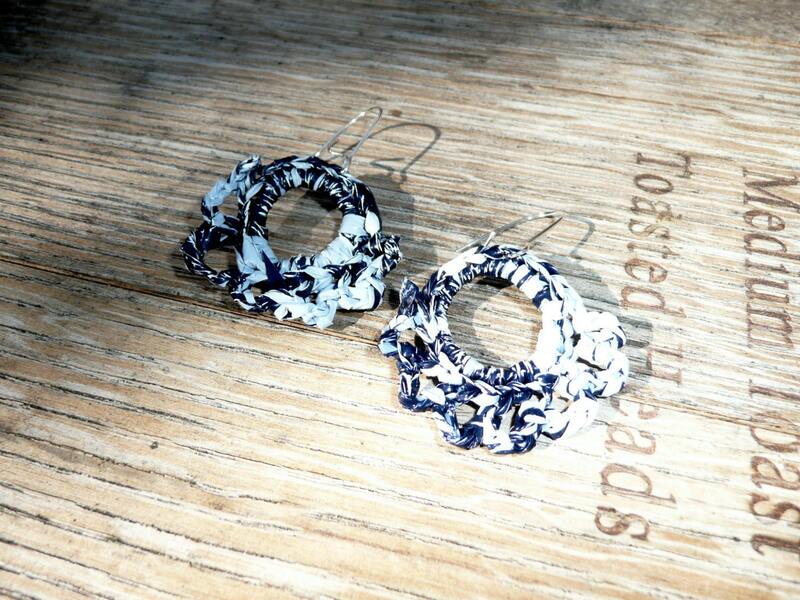 Silver plated earwires.